Azadian Law Group, PC regularly represents clients throughout Los Angeles who are the victims of pregnancy discrimination in the workplace. The Los Angeles Pregnancy Discrimination Lawyers at Azadian Law Group, PC understand how pregnancy discrimination impacts a woman’s ability to have a steady job after giving birth and her ability to continue as a member of the workforce. Wrongful terminations on the basis of pregnancy also often result in the employee losing medical coverage at a critical time for important doctor appointments (both for the employee and her baby). 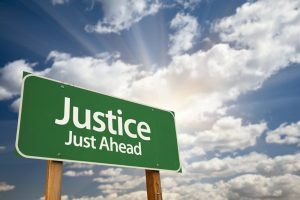 Unfortunately, the damages do not stop there because even if the employee can find work again, she may continue to suffer in the form of decreased wages/salary due to the gap in her employment. For all these reasons, the Los Angeles pregnancy discrimination lawyers at Azadian Law Group, PC fight employers aggressively to make sure they secure the maximum recovery for victims of pregnancy discrimination. Pregnancy discrimination involves treating a woman (an applicant or employee) unfavorably because of pregnancy, childbirth, or a medical condition related to pregnancy or childbirth. Both Federal and California law forbids discrimination based on pregnancy when it comes to any aspect of employment, including hiring, firing, pay, job assignments, promotions, layoff, training, fringe benefits, such as leave and health insurance, and any other term or condition of employment. Additionally, impairments resulting from pregnancy (for example, gestational diabetes or preeclampsia, a condition characterized by pregnancy-induced hypertension and protein in the urine) may be disabilities requiring a reasonable accommodation. An employer may have to provide a reasonable accommodation (such as leave or modifications that enable an employee to perform her job) for a disability related to pregnancy, absent undue hardship (significant difficulty or expense). Further, under both Federal and California law, a new parent (including foster and adoptive parents) may be eligible for 12 weeks of leave (unpaid or paid if the employee has earned or accrued it) that may be used for care of the new child. To be eligible, the employee must have worked for the employer for 12 months prior to taking the leave and the employer must have a specified number of employees. An employee must give her employer either verbal or written notice that she is taking the leave. Generally, if the need is foreseeable, she must give her employer 30 days’ notice. However, if she does not know that she will need to take a leave 30 days in advance, she only needs to give notice as soon as practicable. An employer cannot retaliate against an employee for being pregnant, for requesting or taking pregnancy disability leave, or for opposing any policy, practice or action by her employer that she reasonably believes to be a violation of her pregnancy related rights. The California Labor Code also provides specific protections for breastfeeding mothers who need to pump (lactation accommodations) upon returning to work. You can find a helpful brochure from the California Department of Fair Employment and Housing regarding your rights as a pregnant employee here. Also, a sample medical certification from the California Department of Fair Employment and Housing for pregnancy disability leave, transfer, or reasonable accommodation is available here. Q: Does an employee have the right to take time off from work due to medical conditions related to her pregnancy? A: Yes, an employee may take up to 4 months of job-protected time off so long as the following conditions are met: (1) the employee works for an employer with 5 or more employees; and (2) an employee may take longer than 4 months if her employer provides more than 4 months of leave as part of its own policies for temporary disabilities or in a union contract, or as a reasonable accommodation for a disability. Q: Does an employee have to take all her pregnancy disability leave (PDL) at one time? A: No. An employee has the right to take what is called “intermittent” leave for her pregnancy-related disability, as needed. “Intermittent” leave is leave that is taken in small increments. These increments can be in hours, days, weeks, or months. For example, a pregnant employee, with the advice of her doctor, has the right take a few hours of leave each day or on certain days because of severe morning sickness or for a doctor’s appointment, or for other prenatal care. Q: Does an employee have the right to continued health care benefits while on pregnancy disability leave? A: Yes, to the same extent and under the same conditions as would apply to any other unpaid disability leave granted by the employer for any reasons other than a pregnancy disability. An employee who is taking pregnancy disability leave (PDL) is entitled to the continuation of her health benefits for the entire duration of her leave, up to four months. Q: Does an employee have the right to wage replacement while on pregnancy disability leave? A: Yes, if the employee pays into State Disability Insurance (SDI), or if the employer has a policy or practice of providing employees paid leave. An employee’s pay stub will reflect whether or not the employee pays into SDI. Employees who pay into SDI can collect partial wage replacement while on pregnancy disability leave. Q: Can an employee use her sick days or vacation days during pregnancy disability leave? Can her employer require her to do so? Generally, either an employer or employee can choose to apply the employee’s paid sick leave during pregnancy disability leave. However, only an employee can decide to use her vacation or personal time off during her pregnancy disability leave; an employer cannot require her to do so. Q: Does an employee have to give her employer notice before taking pregnancy disability leave? A: Yes. An employee must give her employer either verbal or written notice that she is taking the leave. Generally, if the need is foreseeable, she must give her employer 30 days’ notice. However, if she does not know that she will need to take a leave 30 days in advance, she only needs to give notice as soon as practicable. In her notice, an employee should tell her employer (1) the reason for taking leave (e.g., pregnancy disability); and (2) when and for how long she plans to take the leave. Q: Does an employee have to give her employer a medical certification to take pregnancy disability leave? A certification need not provide more information than what is described above. All medical information in a medical certification is confidential. Q: Does an employee have the right to return to the same position that she had before she took pregnancy disability leave? A: Yes. An employee generally has the right to return to the same position once her PDL leave is over unless, for legitimate business reasons unrelated to the employee’s pregnancy or leave, the employee would have been laid off even if she had not taken the leave. If the employer, for legitimate business reasons, cannot reinstate the employee to the same position, she is entitled to return to a comparable position if one is available. Q: What must an employer do when an employee requests pregnancy disability leave? A: An employer must respond to a request for pregnancy disability leave (PDL) as soon as possible, but no later than ten days after the request. If an employee asks about her rights regarding PDL or communicates her intent to exercise those rights, an employer must give the employee written notice about her rights as soon as practicable. Q: Can an employer force an employee to take pregnancy disability leave? A: No. As long as the employee can still perform her essential job functions with a reasonable accommodation, her employer may not force her to go on leave before she and her health care provider request it. Q: Can an employer penalize an employee for exercising her leave rights? A: No. An employer cannot terminate, punish, refuse to hire, or otherwise discriminate against an employee for being pregnant, for requesting or taking pregnancy disability leave, or for opposing any policy, practice or action by her employer that she reasonably believes to be a violation of her pregnancy related rights. Q: Does an employee have the right to pregnancy-related accommodations, such as temporary transfers or duty restrictions? Q: Does an employee have to give her employer notice before receiving a temporary transfer or other pregnancy-related accommodation? A: Yes. An employee must give her employer either verbal or written notice that she is requesting an accommodation. Generally, if the need for transfer is foreseeable, she must give her employer 30 days’ notice. However, if she did not know 30 days in advance that she needed an accommodation, she only needs to give notice as soon as possible. In her notice, an employee should tell her employer: (1) the reason for requesting accommodation; and (2) when and for how long she will likely need the accommodation. Q: Does an employee have to give her employer a medical certification for a temporary transfer or other pregnancy-related accommodation? A: Maybe. An employer may require medical certification. If so, the employee should obtain it from her medical provider. Q: Does an employee have the right to return to the same position that she had before she received a temporary transfer or other pregnancy-related accommodation? A: Yes, an employee generally has the right to return to the same position once she no longer needs the accommodation or transfer unless, for legitimate business reasons unrelated to pregnancy, the employee would not have been returned to the same position even if she had not received the accommodation. If the employer, for legitimate business reasons unrelated to pregnancy, cannot reinstate the employee to the same position, she is entitled to return to a comparable position if one is available. Q: Can an employer punish an employee for exercising her accommodation rights? A: No. An employer cannot terminate, punish, refuse to hire, or otherwise discriminate against an employee for being pregnant, for requesting or taking a pregnancy-related accommodation or transfer, or for opposing any policy, practice or action by her employer that she reasonably believes to be a violation of her pregnancy related rights. Q: Does an employee have the right to take job-protected time off from work to bond with a new child? A: Yes, an employee is eligible to take time off under the California Family Rights Act (CFRA) if his or her employer has at least 50 employees within a 75 mile radius of his or her worksite, he or she has worked at least 1,250 hours in the 12 months before taking the leave, and he or she has worked for his or her employer for at least a year. If covered by CFRA, an employee can take up to 12 weeks per year of unpaid job protected leave to bond with a newborn or newly adopted or fostered child, to care for a spouse, domestic partner, parent or child with a serious health condition, and/or because of his or her own serious health condition not related to pregnancy. For bonding, the leave must be used and completed within 12 months of the birth, adoption, or fostering of the child. Bonding leave can be taken in addition to pregnancy disability leave (PDL) if the employee is eligible for both PDL and CFRA. Q: Does an employee have to take all of his or her bonding leave at one time? A: No. Employees have the right to take their CFRA bonding leave in two-week blocks of time. On any two occasions, employees may take their CFRA leave in a smaller block of time of less than two weeks duration. Q: Does an employee have the right to continued health care benefits while he or she is out on job-protected bonding leave? A: Yes, the employer must maintain and pay for the employee’s health coverage at the same level and under the same conditions as coverage would have been provided if the employee had been continuously employed during the entire leave period. Q: Can an employee collect wage replacement while on bonding leave? A: Yes, if the employee pays into State Disability Insurance (SDI), or if the employer has a separate policy or practice of providing employees paid leave. An employee’s pay stub will reflect whether or not the employee pays into SDI. Employees who pay into SDI have a right to collect Paid Family Leave (PFL). PFL is a state program that allows an individual to collect partial wage replacement for up to 6 weeks to bond with a newborn, newly adopted, or newly placed foster care child, or to care for a family member with a serious health condition. Q: Can an employee use his or her sick days or vacation days during bonding leave? Can the employer require him or her to do so? A: Either an employee or his or her employer can choose to apply the employee’s paid vacation time during his or her bonding leave. However, an employee or employer can only apply the employee’s paid sick leave during bonding leave if they both agree to do so. Q: Does an employee have to give his or her employer notice before taking bonding leave? A: Yes. An employee must give the employer either verbal or written notice that he or she is taking the leave. Generally, if the need for leave is foreseeable, the employee must give the employer 30 days’ notice. However, if the employee does not know 30 days in advance that he or she needs to take a leave, he or she only needs to give notice as soon as possible. In the notice, the employee should tell his or her employer (1) the reason for taking leave (e.g., bonding with child); and (2) when and for how long he or she plans to take the leave. Q: Does an employee have to give his or her employer a medical certification to take bonding leave? A: No. An employee does not need medical certification to take bonding leave. However, an employee does need to provide a certification (e.g., a birth certificate) to the Employment Development Department (EDD) in order to receive PFL. Q: Does an employee have the right to return to the same position that he or she had before taking job-protected bonding leave? A: An employee generally has the right to return to the same or comparable position once his or her CFRA leave is over unless, for legitimate business reasons, the employee would have been laid off even if he or she had not taken the leave. However, certain exceptions apply to the top ten percent of the employer’s salaried employees. Q: What must an employer do when an employee requests bonding leave? A: An employer must respond to a request for CFRA qualifying leave as soon as practicable, but no later than 10 days after the request. An employer must grant bonding leave if the employee provides adequate notice. Q: Can both parents take CFRA leave to bond with a new child? A: Yes, if both parents are eligible for CFRA leave from their employers. If both parents work for the same employer, they may be limited to 12 weeks of bonding leave total. Q: Can an employer penalize an employee for exercising his or her bonding leave rights? A: No. 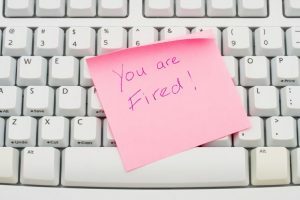 An employer cannot terminate, punish, refuse to hire, or otherwise discriminate or retaliate against an employee for requesting or taking bonding leave (CFRA), or opposing any policy, practice, or action by the employer that he or she reasonably believes to be a violation of his or her (CFRA) rights. As we never charge our clients a penny out-of-pocket, you can rest assured that when we accept a case, we are standing behind our client 100% and will fight aggressively for their rights. Types of Employment Cases We Handle The following presents an overview of the broad range of employment law cases that our attorneys are experienced at overseeing and favorably resolving. “ George and his law firm did an outstanding job on my case. I would recommend Azadian Law Group for any wrongful terminations. Copyright © 2016 - 2019 Azadian Law Group, PC.